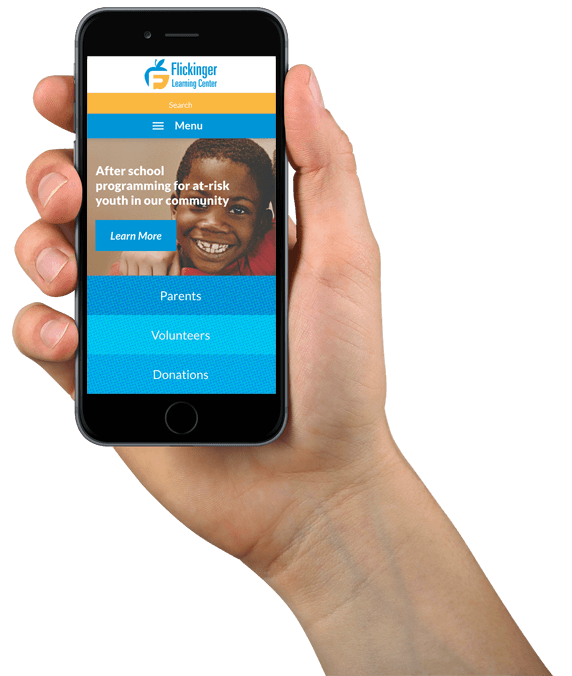 Flickinger Learning Center is an after-school program that offers a safe and encouraging learning environment for under-privileged and at-risk children. When they came to us, they had a site that wasn’t mobile friendly, and an overall site navigation that needed to be re-worked. They had needs such as donation portal and events calendar that they wanted to be added as well. 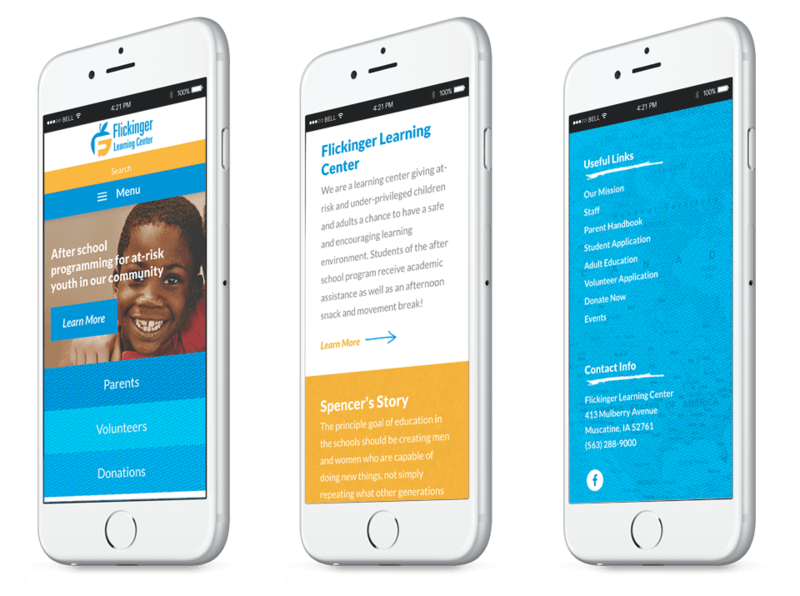 Flickinger’s site is now a beautiful, mobile-friendly site that has a much more easily navigable menu and framework. It’s incredibly easy for site visitors to find information, donate money, and view events in the event calendar. Flickinger is a great organization doing great things and we were fortunate to have the opportunity to work with them!